New REV. G Grounding Kit for 25G and 45G Guyed Towers. Comprises enough material to ground 1 Tower Base Section Tubular Rail. (1) CPC1/1.25 Connection Clamp to 25G/45G Section Tubular Rail. 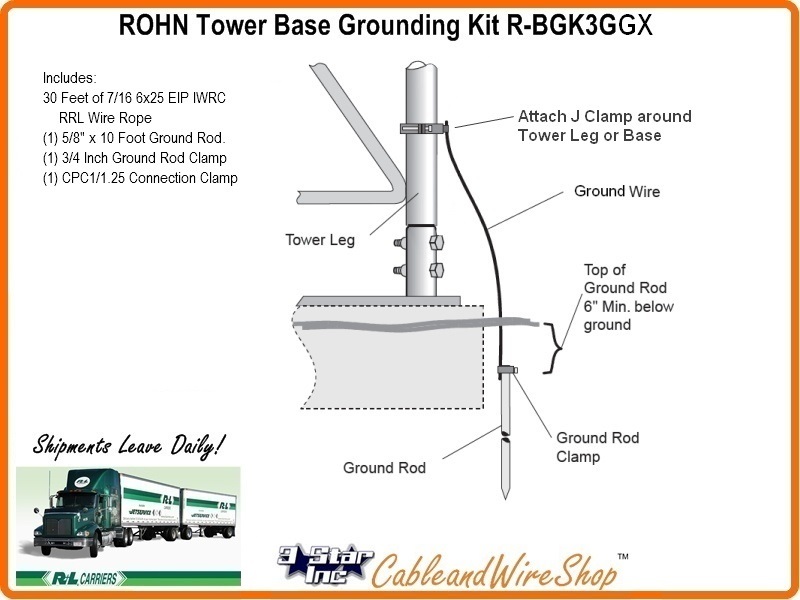 Note: (3) of these Tower Base Grounding Kits are included in each ROHN 25G 45G Guyed Tower Kit with a Flat or Fixed Rigid Base.